As an american ex-pat living in Munich, I personally run across this quite often. For instance I will be working in a metric drawing that uses millimeters for units, and I need to know a ShapeSheet value in inches. Internal units. When you program against Visio, it’s convenient to use Visio internal units for numeric values. Internal units in Visio means inches. Let’s get back to the ShapeSheet. The simple trick to “cast” a value in the ShapeSheet is to add 0 units to the left of the value or formula. The 0mm on the left effectively casts the value to millimeters. The evaluation works from left-to-right, so 1in + 0mm will give you inch-values. Casting Formulas in the ShapeSheet? There are a few Visio ShapeSheet functions related to casting and unit-conversion, but deal only with angular quantities. ANG360( angle_value ) Normalizes angle_value to between 0 and 360 degrees. The units of angle_value are returned, or the result is in radians if no units are specified. DEG( radian_value ) Converts radian values to degrees. FORMAT( expression, “formatpicture” ) Formats a value or formula using the format picture.Â You might have seen format pictures such as “0.00”, “0.##”, etc. that control the number of decimal places and the type of units to display. RAD( degree_value ) Converts degree values to radians. 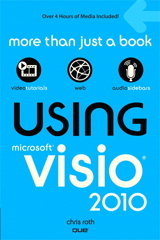 In your example it seems that Visio appears to be off by a factor 10. Since 1 inch equals to 2.54 mm, the 1-inch wide smiley should show it’s width as 2.54mm! Seriously: having lived in Canada I got to deal with both systems, and still find the metric system far superior as there is only one basic factor: 10. The imperial systems uses 2 (for fractions: 1/2″, 1/4″, …), 3 (3 feet in a yard) and 12 (12″ in a foot) and -nowadays?- sometimes 10 in systems that require 100’s or 1000’s fractions precision. How cumbersome, and that’s only a fraction of the problem for it get’s much harder when going 3D! I find that when drawing, arranging and spacing objects, and working with my hands that inches and feet are easier to work with. A foot can easily be divided by 2, 3, 4 and 6. With metric quantities, you get only 2 and 5, which can be weird and frustrating. Where the metric system shines is in eliminating calculation errors, and physical quantities like force, weight, etc. All engineers in the U.S. work primarily with the metric system, and students moan when they have to do calculations in feet, pounds and slugs. *blush* Reading can be hard at times… :/ My apologies!! Well, it probably comes down to a sort of “mother tongue” thing. I’m not grown up nor well used to the imperial system; basic math wasn’t too hard, but once I got to do the more advanced stuff like dividing with fractions (3/4th divided by 4), areas (I briefly worked for a fencing operation: fence off 1/3rd of an acre) and even volume (pour concrete for posts) I really needed pencil & paper! With decimals it’s so much easier (I find! ): simply shift the comma and -indeed- 2 is your base factor. And I have to admit: I know many tricks for decimal math, and have no clue if any exist for imperial. I like the metric-imperial discussion. I am always fascinated that, although I went to Engineering School, I am nevertheless reluctant to totally abandon the imperial system, even though it seems at times to be unwieldy, and even completely whack-o. It seems to me that computers might actually enable it to survive, because they computers remove calculation difficulties. It parallels what is happening with languages. At one time, it might have looked like the internet would become an “English only” domain, or at least “Latin alphabet only”. But increasing speed and power, plus innovative software have enabled obscure dialects to survive, and complicated writing systems to become very usable. Think about typing Chinese or Japanese on an old typewriter…on a computer, it is pretty darn easy!